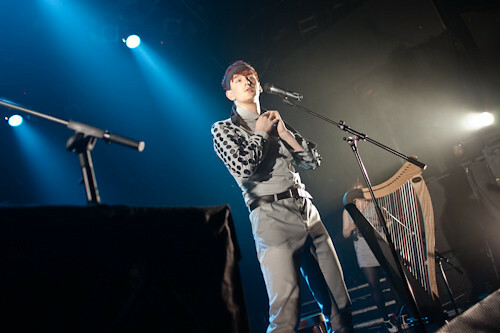 "Patrick Wolf wowed the crowd at Koko," is the simple, NME way of saying it. 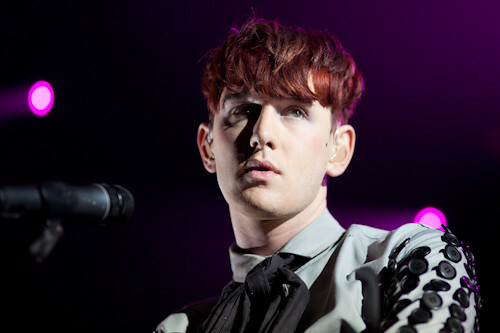 "Patrick Wolf captured the crowd in a wave of psychic energy," is probably more accurate to the experience. How did this happen? 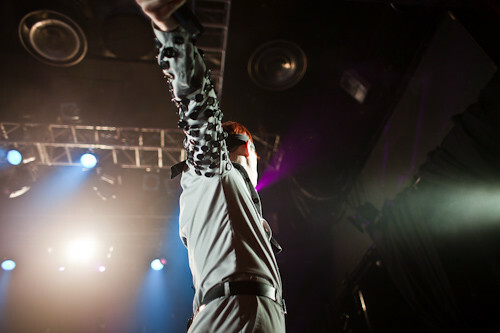 And how did it happen at Koko of all places, the concert venue where all feet forget to dance? Mr. Wolf stated that the venue had great personal significance to him, in that he'd met his longtime lover on the second balcony, so perhaps his positive feelings were transmitted to the crowd. But that still doesn't explain it - how I wandered from low to high, searching for the best vantage point, and everywhere I looked I saw people, people of all ages, wholly transfixed by the show. Of course Wolf has basic, even superior competencies: virtuosic ability on multiple instruments, perfect vocal control, live presence, etc. But none of that would matter if his songs weren't weapons in their own right. We are all aware that Patrick Wolf makes great music; it wasn't until this show that I was struck with how much great music he has made. The set ranged from foot-stomper to mood-maker, as he raced through a combination of true hits and obscure B-Sides. When he played 'To the Lighthouse', a song that had long been retired from live tours, the crowd went wild, but he was surprised anyone even remembered the song. 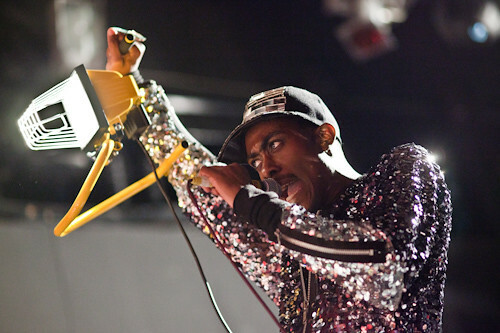 Wolf gets some flak for changing his musical direction to a more upbeat, electronic sound. But as the show demonstrated, the seeds were always there. 'Tristan' sounds like it belongs on a more recent album, when in fact it's present on his first. Likewise, there are moody English paeans like 'Bermondsey Street' even on his later records. Watching him on stage almost feels like we are witness to one man's evolution. And that's how you put on a memorable show. Patrick Wolf's album Lupercalia is out through Hideout Recordings on 20th June.